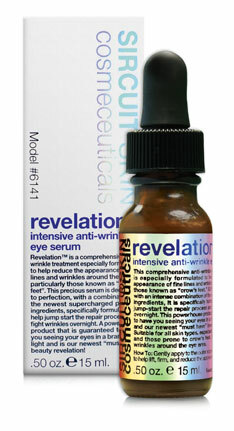 Revelation™ intensive anti-wrinkle eye serum is a comprehensive treatment especially formulated to help soften the appearance of fine lines and wrinkles, particularly those known as "crow's feet." This intensive anti-aging serum is SUPERCHARGED with a combination of the newest peptide ingredients, specifically formulated to help improve the skin’s overall radiance and leave you feeling soft and smooth. 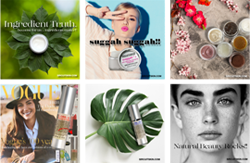 Revelation™ is a powerhouse product that is sure to have you seeing your eyes in a brand new light and our newest "must have" beauty revelation. Helps to soften the appearance of fine lines and wrinkles. Newest “Must Have” eye product. Skin Type: Suitable for all skin types, especially for aging skin types and those prone to crow's feet, fine lines and wrinkles around the eye area. How To: Gently apply to the outer edges of the eye area, to help lift, firm and reduce the appearance of fine lines. Shake well before use. Inyline™ (Acetyl Hexapeptide-30): A peptide that helps to minimize the appearance of expression lines while also helping to smooth the skin providing anti-aging benefits and a radiant, more youthful complexion. Edelweiss (Leontopodium Alpinum Cell Culture): A hardy plant culture which exhibits antioxidant benefits along with anti-aging properties that can help to improve the overall skin appearance. Retinol (Encapsulated): A stable retinol with the ability to promote skin-rejuvenation enhancing the skin’s overall appearance. By speeding up cell turnover rate, Retinol may help to visibly revitalize skin, as well as improve the appearance of facial lines and skin-discoloration. Formulated With: Aqua (Water), Hamamelis Virginiana (Witch Hazel) Water, Glycerin, Alcohol, Acetyl Hexapeptide-8, Acetyl Hexapeptide-30, Pentapeptide-18, Leontopodium Alpinum Meristem Cell Culture, Beta-Glucan (D), Arginine (L), Tocotrienols, Elaeis Guineensis (Palm) Oil, Retinol, Rosa Canina (Rose Hip) Fruit Oil*, Lavandula Angustifolia (Lavender) Oil, Santalum Austrocaledonicum (Sandalwood) Wood Oil, Cymbopogon Martini (Palmarosa) Oil, Jasminum Officinale (Jasmine) Oil, Caprylyl Glycol, Tocopherol (D-alpha), Pseudoalteromonas Ferment Extract, Betula Alba (Birch) Bark Extract, Xanthan Gum, Sodium Benzoate, Cyclodextrin, Gluconolactone. *USDA Certified Organic | NOP. Phthalate-free.